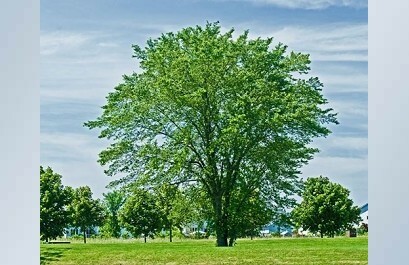 New The American Elm Tree Stock Photos. Ernie Hunter has just published a new set of The American Elm Tree stock images.American Elm Ulmus americana will grow to 100' and 4' diameter with an umbrella canopy. Dark green elliptical leaves, abruptly long-pointed, base rounded with sides unequal and doubly saw-toothed. Seeds are elliptical flat 1-seeded keys (samaras) with wing hairy on edges. Wood is used for furniture and paneling. Large shade trees, once abundant, have been ravaged by Dutch Elm disease. A fungus spread by the Elm Bark Beetle. Dead trees should be cut and burned. Not transported.Check out more amazing photos from Ernie Hunter here.